Observe the surface of a balloon as it pops. The purpose of this experiment is to see what happens to the surface of a balloon in the moment of its explosion. What types of scientists study explosions? What does a good understanding of explosions help people understand? Why is it important to know what happens to an exploding object? What are explosions used for. A balloon pops in the blink of an eye. It happens extremely quickly; too quickly to successfully observe. Using a camera to take photos of the popping while it is happening will allow the process to be observed. This can help people better understand what happens to the surface of a hollow object when it explodes. Though most of us don’t come into contact with exploding objects in our daily lives, understanding the properties of an explosion is an important part of a number of different fields. Explosions must be studied in order to set off pyrotechnics or to work with various types of weapons. If you don’t have a camera of your own you can borrow one from a friend or relative. Face the camera towards a blank wall, about 10-15 feet away. Blow up a balloon with air from your lungs. Tie the end of the balloon off. Hold the balloon in front of the blank wall and have your friend confirm that it is in frame. Have your friend take pictures as you pop the balloon with a needle. Examine the surface of the balloon in the photographs you take. Repeat steps 3-7 with different types of balloons and balloons filled with different amounts of air. (optional) Repeat steps 3-6 with balloons filled with different gasses, such as helium from a party supply store, or even with water or shaving cream. 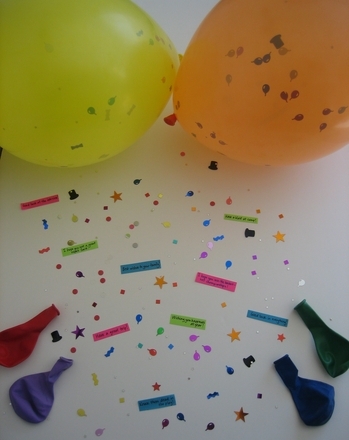 Confetti balloons pack a triple-punch, with tiny messages, colorful confetti, and balloons. 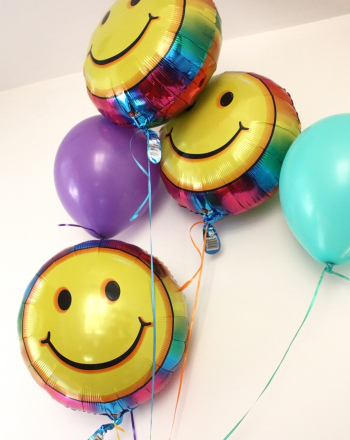 Use confetti balloons to add some fun to your next celebration. 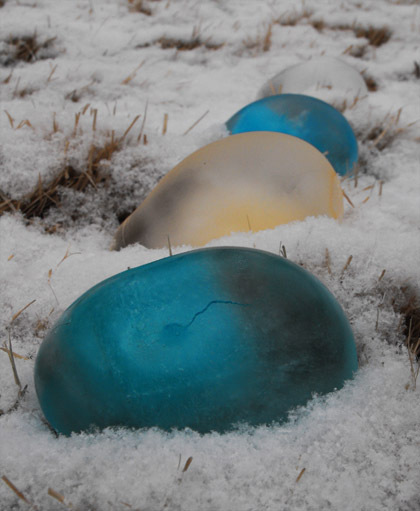 Capture a bit of magic with these mesmerizing ice balloons! Get a fun review of maths facts, and try your hand at "popping" colorful balloons with equations that equal the number eighteen. 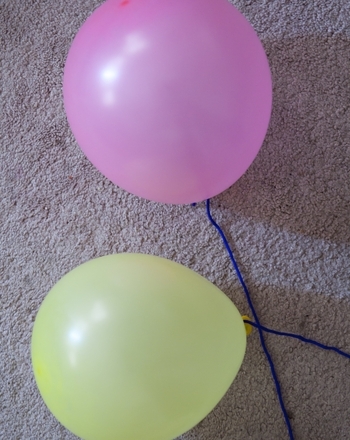 Get a fun review of maths facts, and try your hand at "popping" colorful balloons with equations that equal the number thirteen. 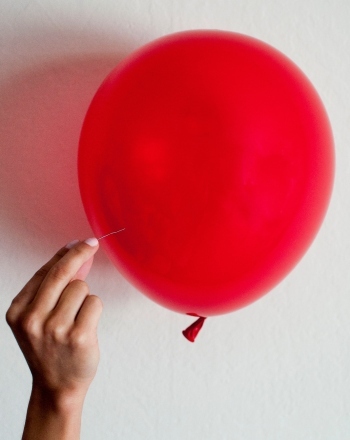 Try your hand at "popping" colorful balloons with equations that equal six! Try your hand at "popping" colorful balloons with a sum or difference of sixteen. 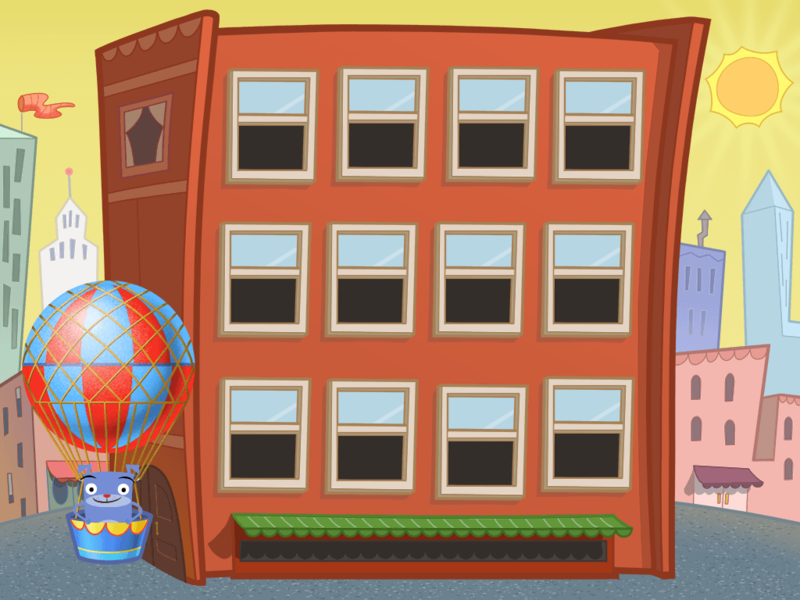 Try your hand at "popping" colorful balloons showing a sum or difference of eleven! 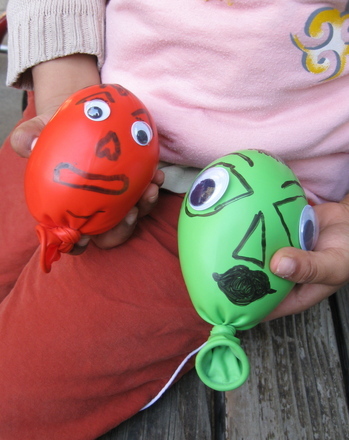 These little monsters made from balloons and flour are silly and fun and best of all, easy for preschoolers to make.